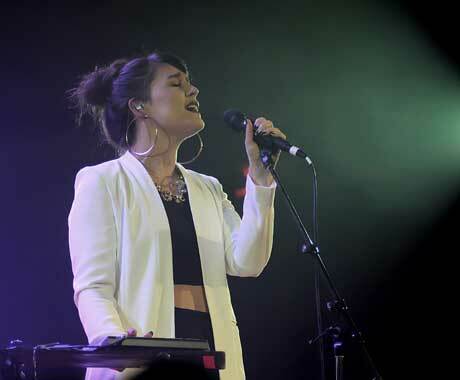 We hope you're ready to feel Jessie Ware's pop-driven pain in person, because the UK R&B artist has announced she will be dishing out Tough Love to North American crowds this fall. Though details on the singer's sophomore set are still pending, Ware confirmed that she will make a quick trip across the pond in October for four North American performances. This starts out on the U.S. West Coast with shows in Los Angeles and San Francisco, but Ware makes it up to Canada for a concert at Toronto's Great Hall on October 26. She wraps up the mini-tour in New York. You'll find all of her show specifics, including some upcoming European festival and club dates, down below. As for Tough Love, it's unclear exactly when it will land, or what all will appear on the record, but the title track arrives as a single August 3 via PMR Records/Friends Keep Secrets/Interscope. You can catch the music video down beneath the concert info.